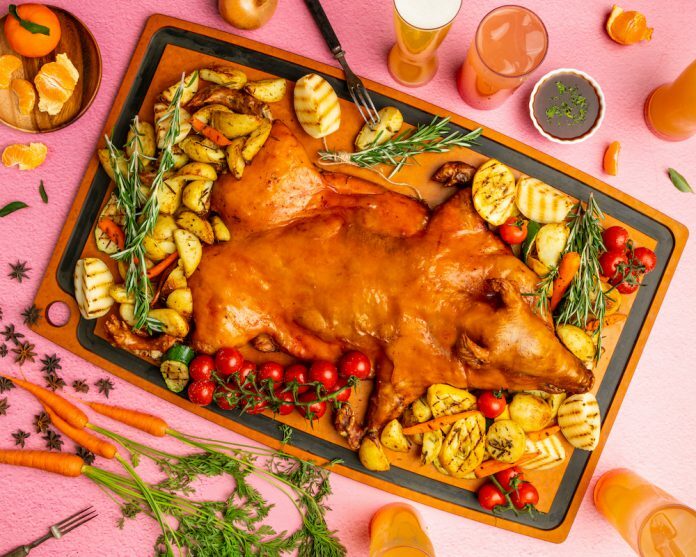 ‘Pig’ me if I’m wrong: Has the Lunar New Year reunion lost its meaning? FOR a non-Chinese to tackle this reunion-issue may seem like putting the wrong foot into the upcoming Lunar New Year. But what the pig, many may well say! But speaking to my majority Singaporean-Chinese buddies, the most patriotic aspect is a Chinese New Year with the auspicious reunion dinner, which is significantly hosted on the eve of a brand new lunar season. Yes, I know, even as a Malayalee (from the southern-most state of India), that this meal is more than just an excuse to feast on Oriental delicacies or to toss ‘yee sang’ for good fortune. I’ve learnt and appreciated over the years that it’s nostalgic opportunity for everyone, each ultra-busy with their own lives and works, to come together and be a rip-roaring family. The sense of bondship is unimaginable as the reunion dinner means preparations may start days or even weeks earlier, from baking cookies to scouring the wet markets at Chinatown, Whampoa, Nee Soon or Tekka, for the freshest seafood. Why all the hard work, even a non-Chinese or expatriate may ask? Why not just head out to a neighbourhood restaurant and have someone else do the cooking? For one thing, I know from my adoring senior-citizen Chinese folks is that cooking the dishes together is simply part of the fun and helps bring everyone closer, in the distinguished spirit of Lunar New Year. For example, while arguing over how long the fish ought to be steamed, you could also catch up on the latest domestic news – which cousin just got married, whose daughter just got an overseas scholarship to further her studies, which senior patriach kicked the bucket – and each other’s lives, which we always take for granted. Even the celebrity astrologists who interpret the Chinese Zodiac better every passing year offer significance to tightening familial bonds. And they remind that folks who gossip and snack together, stay together! In my opinion, the reunions must always be rousing reunions at home, be it in Choa Chu Kang, Tampines, Jurong East or Pasir Ris with home-styled cooking. Simply because, the more and more, we no longer cook reunion dinner at home and reserve a table outside – at a posh Chinese restaurant, at a corner-lot daichow, at some popular heartlander chain outlet nestled inside a shopping mall – so we save the trouble of planning ahead, of preparing more dishes than we can finish, of the actual exhausting task of cooking. And, the short-cut way, would be to return to our own worlds, as swiftly as the waiters rush over to serve dishes (all with prosperity-symbolic names, all the same as the other tables as there is only a set menu during this busy period, naturally). But the real red-packet question: Is this a reunion dinner? Is this what it’s meant to be from traditions of centuries-old? I serve as a branch activist in the Nee Soon East constituency, under a hyper-active and young Member of Parliament (MP) Louis Ng, who rightly to his filial upbringings, encourages residents to stick to the patriotic traditional roots. He rightly reminds that raditions must remain or they will fade away. In my opinion, the implicit fear here is that families will fade away too if our multi-racial or multi-religious rituals disappear. Sometimes there is more tears than laughter. I have many Chinese acquaintances who are estranged from their families. Some say it’s because of abusive relationships, siblings who are self-destructive, toxic relatives who really don’t mean the best. Some say to force them to attend a reunion dinner with that bunch would be cruel; they have been punished enough, surely? But going on maintaining childhood traditions, doesn’t this mean they can’t or don’t experience the joys of a reunion dinner though. Yes, some may forget family patriachs because they are invited to reunion dinners at the homes of good friends. Their friends’ parents are almost adoptive parents, closer to them than their own. Whatever you value reunion dinners, nothing is complete without steamed fish, a symbol of abundance in the coming year. A potluck, maybe or someone who’s gifted in all things culinary hosts. Or dinner at a restaurant so everyone can spend more time in conversation and camaraderie — what works, works. They are part of the filial family. I believe in the Singaporean-context, the reunion dinner hasn’t lost its meaning. It has merely expanded its definition. If anything, the reunion dinner is more meaningful than ever in sometimes prevailing times of discord, despair or even urban depression. ‘Pig’ me for making this clear: I’m of the opinion that the reunion dinner is more indispensable than ever, and what’s necessary is that it be empathetic, non-judgemental and inclusive. The reunion dinner isn’t dying out, no matter what some of the cynics may tell you. Yes, with revolutionary lifestyles, it is changing with the times. But the opening of its arms wide is very significant, especially to embrace more than what was traditional, so that we may all belong. So that we may all be filial families, regardless of race, language or religion, in a multi-racial Singapore heartland. Enjoy the ‘Year of the Pig’: Happy New Year!